I've been in the kitchen baking up a storm again... If you read my blogmas posts back in December you might remember I shared quite a few recipes, their was so many fun things I could bake over the festive season and I think it's fair to say my household seriously indulged. Now it's a new year and we are all trying to eat that bit healthier so I thought I'd give heathly-ish blueberry muffins a whirl. These turned out seriously tasty even if I do say so myself so I thought I'd share the recipe with you all today. 1. 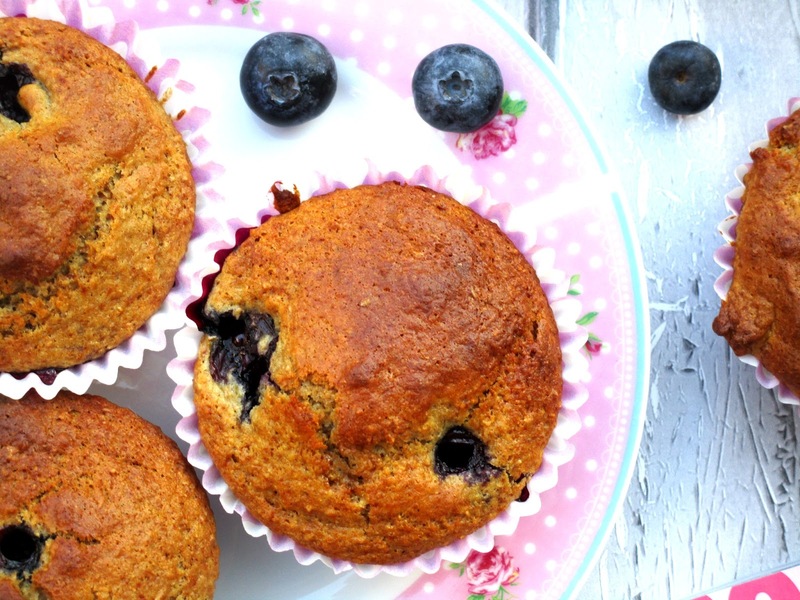 Preheat your oven to Gas Mark 5 and line a 12-cup muffin tin with paper cases and then set aside. 2. In a large bowl whisk together all the dry ingredients, so the flours, sugar, baking powder, bicarbonate of soda, salt, and cinnamon and set aside. 3. In another bowl whisk together all of the wet ingredients, so the yogurt, milk, vanilla, eggs, honey, and oil. 4. Gently fold the wet mixture into the dry flour mixture until everything is well combined and all of the flour has disappeared then fold in your blueberries. 5. Divide the batter evenly in the paper cases then place in the oven and bake for 18 minutes, reducing the heat to Gas Mark 4 after about 10 minutes of baking. 6. Allow the muffins to cool for 5 minutes before carefully transferring to a cooling rack to cool completely and voila.... Yummy muffins that aren't as bad for you as having a big lump of cake or a cupcake covered in icing but still gets rid of that sweet craving you might be having. Overall I'm so pleased with how these muffins turned out, this was the first time of me giving these a go and if there was one thing I'd change when I make them next time is to fill the paper cases up with more mixture to make them bigger, as I did have a little mixture left! 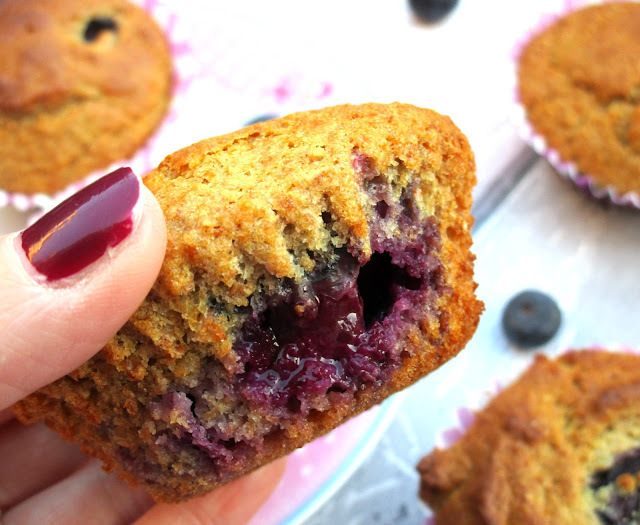 Their lovely and sweet and the coconut oil makes them moist and tasty, their the perfect snack when your craving something sweet or for breakfast with some yogurt on the side. 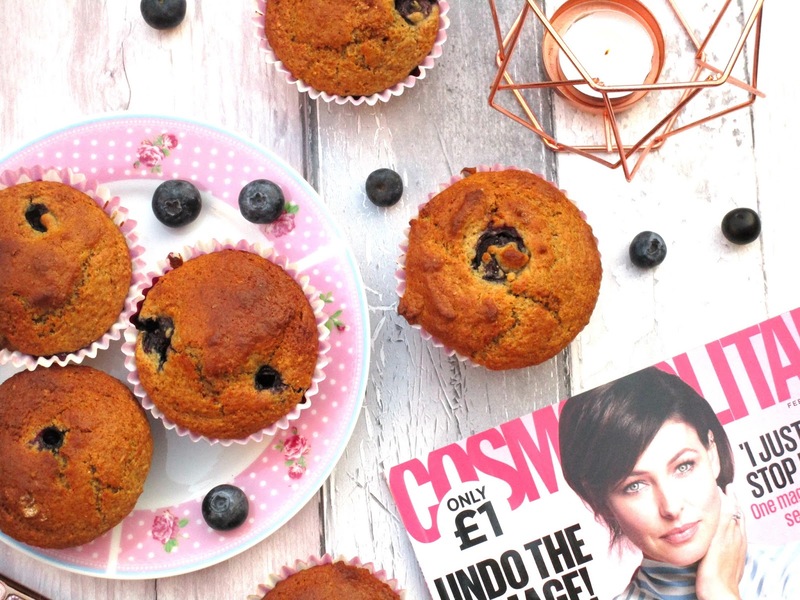 Have you been baking healthier this year beaut's? I'd love to know! These sound and look amazing! You can't beat a blueberry muffin. I find any recipe that has yogurt as an ingredient makes them especially yummy! These look so tasty and are making me so hungry! I need to do some baking!